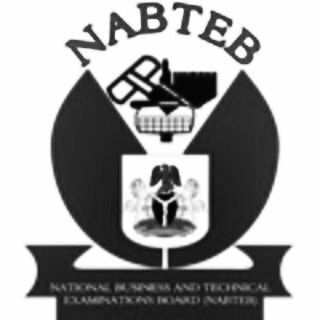 FREE DOWNLOAD: The National Business and Technical Examinations Board (NABTEB) Biology Syllabus Now Available for Download in PDF Online. The National Business and Technical Examinations Board (NABTEB) has uploaded the Biology Syllabus for prospective students. The content of this syllabus has been drawn from the NBTE curriculum. It is divided into broad headings on the conceptual frame work on which the teaching syllabus is organized; the concepts of Biology, Flowering plants and Non-Flowering Plants, Invertebrates and Vertebrates, Basic Concepts of Ecology, Genetics and Evolution. An attempt has been made in this syllabus to make it relevant for candidates offering Biology either as a core science subject or as a trade related course. e. Create an awareness in the candidates of the application of science principles in everyday life on matters that affect personal, environmental, community health and socio-economic spheres of life. There will be two papers. Paper 1 (Objective and Essay) and Paper 2 (Practical), both of which must be taken with a total of 200 marks. This paper consists of two sections: A and B. Section A consists of fifty (50) multiple-choice objective questions, for a duration of 50 minutes and it carries 50 marks. Section B consists of six (6) essay questions drawn from the four sections of the syllabus. Candidates will be expected to answer four questions in 1 ½ hours and the total score is 50 marks. This paper will consist of two sections A and B. The total duration is 2 hours. Section A: This section comprises 15 short structured questions based on Biological Principles and Practicals. Candidates are to spend 30 minutes and it carries 30 marks. hours and it carries 70 marks. A and B and will lasts for 2 hours for a total of 100 marks.